The Helio Sequence likes to listen to podcasts and make alt-rock music. When Helio Sequence singer/guitarist Brandon Summers answers his phone last week, he and bandmate Benjamin Weikel (drums and keyboards), plus their sound engineer, are just starting the drive from Washington, D.C., to Brooklyn. For the alt-rock band, that means this interview is interrupting their time listening to podcasts, namely "The Joe Rogan Experience" and writer Graham Hancock's "Magicians of the Gods." "It gets pretty deep," Summers jokes. 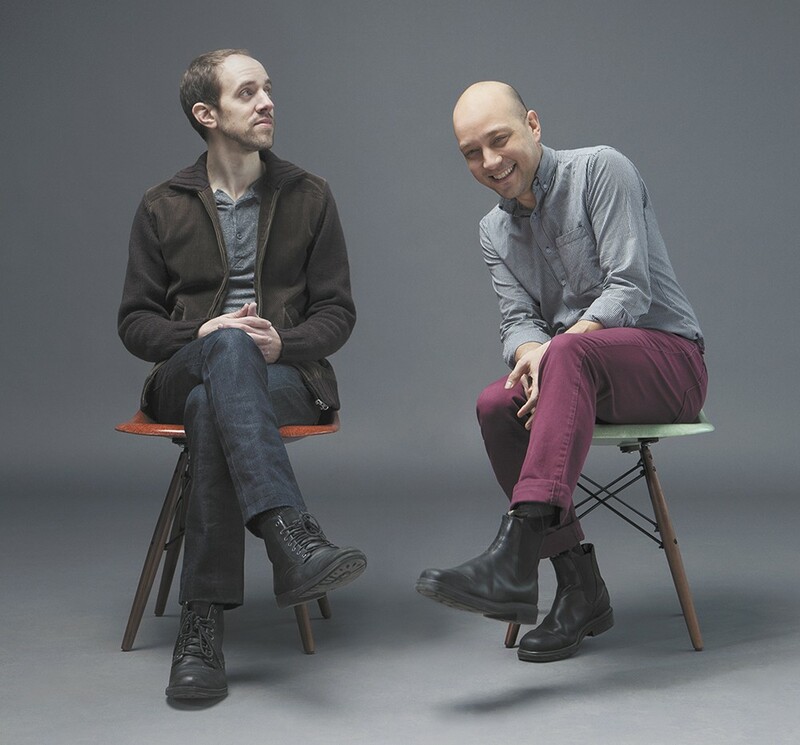 The Portland duo is currently on the road in support of its sixth album, last year's The Helio Sequence. The album marks a major change of pace for the band, which cut its recording time from a previous two-and-a-half years to one month. This clipped pace was a result of the duo's participation in the Immersion Composition Society's 20-Song Game, which challenges musicians to write as many songs as possible in one day, throwing caution to the wind and embracing creativity. While preparing to participate, Summers and Weikel realized they were in the headspace to record an album, so they gave themselves a month to write as much as they could. The process wasn't without its challenges, though. "It's not that straitjacket that can be a part of the songwriting process, where you get overfocused on something," Summers says. "I'd be like, 'No, I'll come back to it later,' and pull something else up. Then you come back to what you were stuck on with a new energy or a different perspective." After a month of writing, the pair had 26 songs. The 10 that made the cut, decided with help from family and friends, have a lightness that makes the freedom the band felt while recording audible, while still highlighting the soaring guitar and keys that mark a Helio Sequence release. Summers and Weikel thought the record should be self-titled, because in many ways, writing it took the pair back to what brought them together in the first place. "The spaciousness of it, the shoegaze, the tapestry of sound, the aesthetic," Summers says. Summers says he and Weikel will use what they learned from the 20-Song Game to work more quickly and let things flow on future records. But for now, it's back to the road, and many more hours of podcasts. Just don't expect a Helio Sequence-led podcast on tour life any time soon.